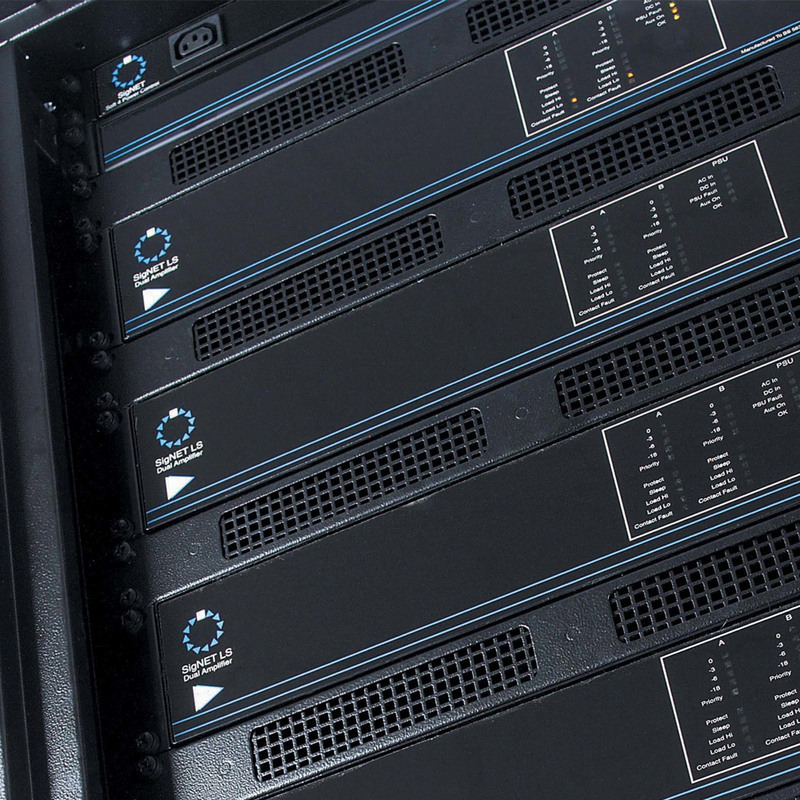 A fully integrated and cost-effective emergency sound, public address and background music solution for theatres, hotels, sports grounds, exhibition halls, shopping centres, etc. 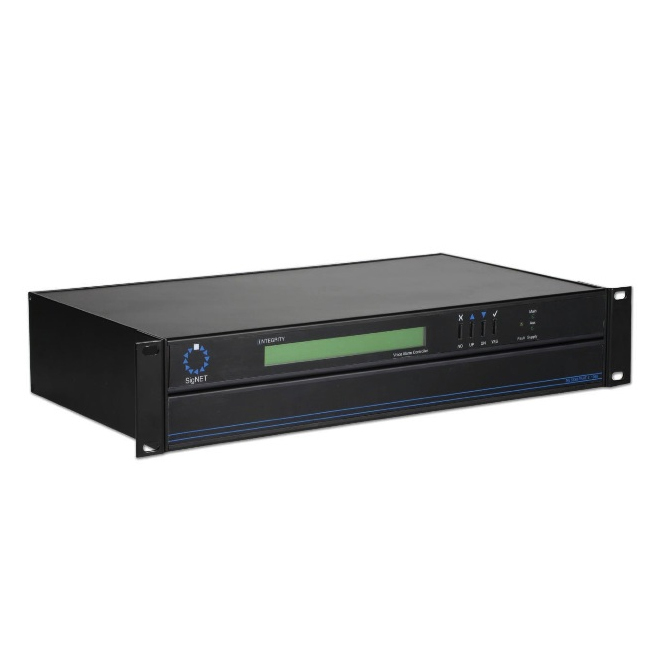 The Integrity mainframe consists of the CPU card which controls the system, up to 8 audio input cards and up to 8 audio output cards. The choice of input and output cards depends on the application and the needs of the client. 1LS AUDIO INPUT CARD This card is normally used for an FMIC all-call emergency microphone, but can also be used for normal paging microphones or any balanced line-level audio source and may be routed to any pre-defined combination of zones. Up to four firefighter’s microphones can be connected to one 1LS card and they will work on a first-come-first-served basis. When multiple inputs are connected to a single card, they must all page the same audio zones. 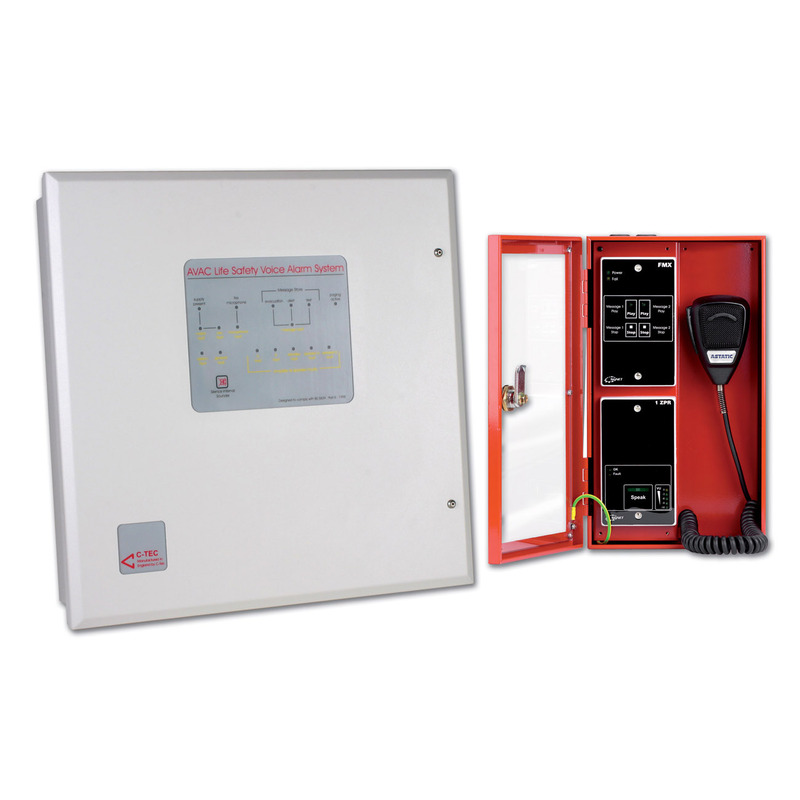 The card also has two additional monitored switch inputs that are normally used to manually trigger the emergency messages, but can be used for any purpose. The card provides full monitoring of the emergency microphone(s) and a fault will result in a text message being logged and displayed on the Integrity system’s LCD. SVM MESSAGE CARDS These cards store Windows .wav files in an internal flash memory chip and have the capacity to support up to 4 messages of up to 2 minutes in length. Three versions are available, the SVMA pre-recorded alert message card, the SVME pre-recorded evacuate message card and the SVM-CUST custom message card. Audio quality is selectable by trading off message length (30 seconds total of best quality 16 kHz 16-bit audio). Messages are loaded the SVM from a PC using an MPD Message Programming Dongle (available separately) which connects to a USB port on the PC. Any failure of memory is flagged to the system as a fault. CI16 CONTACT INPUT CARD This card provides 17 opto-isolated switch inputs (16 latching triggers plus reset). A 24 Vd.c. 50 mA protected voltage output is provided so that normally open relay outputs can be used. Operating any of the inputs triggers pre-set messages in pre-defined zones depending on the way the cause-and-effects matrix in the mainframe has been set up. The inputs can also be used for any other routing, such as routing music to pre-set zones, in which case, the inputs can be set to automatically un-latch. BGM MUSIC INPUT CARD Features a pair of phono (RCA) stereo unbalanced inputs. A 4-way dipswitch allows the user to set the sensitivity of the phono connectors for Tape (300 mV), Line (1V) and CD (2V) levels and also enables default selection of audio zones for music. External contacts allow up to 4 individual groups to be manually selected for music, depending on the state of the switch and the programming of the cause and effects software. GPI GENERAL PURPOSE INTERFACE CARD The GPI card is normally used to allow up to four Integrity mainframes to be linked via one or more (max four) MPCor MPCW series paging and message control consoles. The console(s) can page and control messages in any combination of zones in all four Integrity systems and can display status and fault information from all systems. OP2 TWO-ZONE AUDIO OUTPUT CARD Provides two independent balanced line level audio outputs to drive amplifiers. The card contains an audio selector (controlled by the cause and effects software) and a digitally controlled attenuator for each output. A different volume level may be programmed for each type of input (emergency, paging and BGM). The card also reports faults from the amplifiers through a monitored output and provides a closing contact typically used for volume restoration or activating beacons when emergency paging occurs. FMIC EMERGENCY ALL CALL MIC The FMIC is an all-call emergency microphone comprising a red, wall mounted case with fist microphone, two message trigger switches and audio processing and monitoring electronics. It can be semi-recessed using the TBEZ bezel to tidy the edges. • The MPC16I, MPC32I, MPC48I and MPC64I desk mounting gooseneck mic. consoles (the MPC16I has 16 programmable keys and indicators, the MPC32I has 32 programmable keys and indicators, and so on). 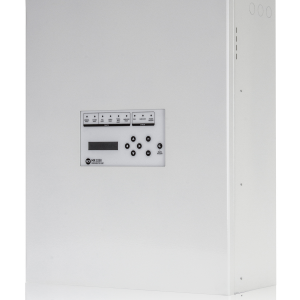 All variants have an LCD that displays system status and fault information and is used to configure the system. Each console’s buttons can be assigned to various functions such as selecting audio zones or groups of zones, selecting background music sources, adjusting paging and mic. levels, setting day and night volume levels and selecting/routing messages.